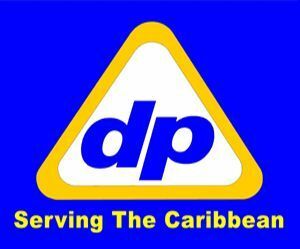 According to information obtained, by Virgin Islands News Online, SOL St Lucia Ltd, has also been awarded the contract to supply diesel fuel and petroleum for BVIEC’s fleet of vehicles, while Delta Petroleum will provide the lubricating products. SOL St Lucia Ltd had proposed in their bid of July 2018, to provide fuel for the entire BVIEC vehicle fleet for $467,992. 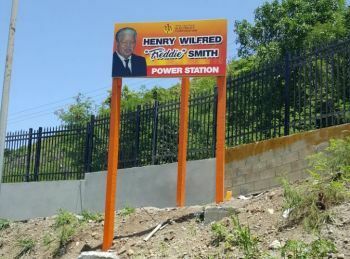 SOL had further proposed to supply lubricating oil to the BVIEC for $1,285,555 and diesel fuel for the Henry Wilfred Smith Power Station, on Tortola and the Anegada Power Station, at a cost of $88,145,137. On the other hand, Delta Petroleum (Caribbean Ltd), proposed to provide fuel for the BVIEC’s vehicle fleet at a cost of $481,415. In addition to provide lubricating oil, the company had provided two separate bids. Delta Petroleum in its July 2018, bid, proposed to use either ‘MobilGard Oil’ at $922,259 or ‘Castrol Oil’ for $887,242. In their bid to supply diesel fuel, Delta had proposed a cost of $91,928,488. The contract to provide fuel for the engines at Pockwood Pond Power Plant has been awarded to SOL St. Lucia Limited. Look like government going be handing everything over to st Lucia people here in the BVI, what is it with NDP y’all owe them money for keeping y’all prisoner in there prison ??? You guys are for real? Who owns SOL? The BVI Government?? Last time I checked SOL is owned by The SOL Group. It was contract bids for Christ Sakes! Isnt it interesting that st.lucia is being very present in the BVI? Prison-- st lucia, ports--st lucia, electricity-- st lucia and im sure there is more... very interesting. Not even another caribbean island but st lucia. Where is St Lucia ? Since when fuel is a physical man, where is the connection with physical and Fuel. Women are more honest. Get them to fill the bottles and deliver..
What's the obsession with St LUCIA. There's Jamaica, Antigua, and more. St. Lucia again. Is it a coincidence that St. Lucia is front and center all of a sudden in meeting some of the territory’s service needs? Is St. Lucia being given preferential treatment because it step up to house our most dangerous prisoners after the hurricanes of 2017? I wish my BVIslanders could travel more. They are to sheltered and thus have a closed mind. That way they would stop being so small minded. Tell me where a BVI company can go to St Lucia and win a bid. Tell me where a BVIslander can go to St Lucia and be a CEO of their Ports. All these moves are the NDP's spiritual evil strategy. Put people in place who are demonically aligned as they are.